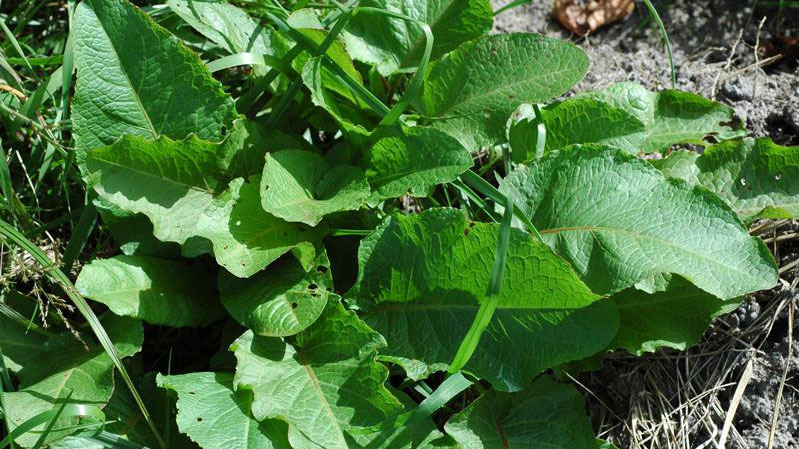 Curly dock is a perennial weed with a thick taproot. 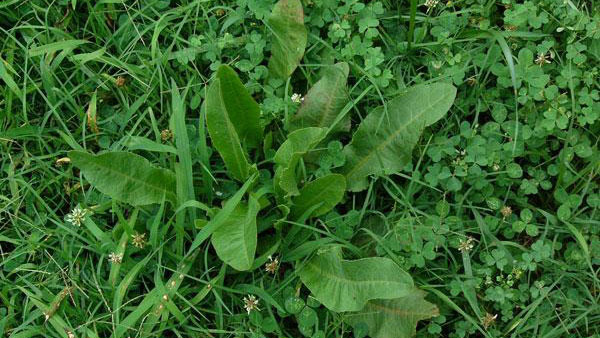 Leaves grow mostly at the base of the plant and are lance-shaped with wavy or curly margins. 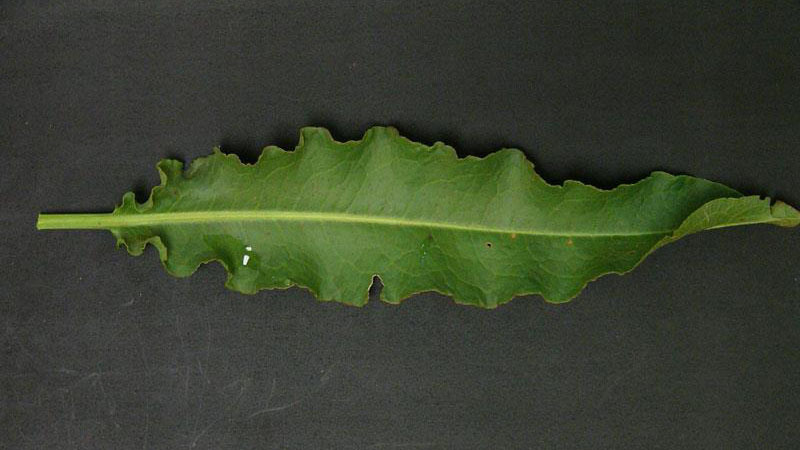 Leaf blades are 6 to 8 inches long and 1 to 2 inches wide. 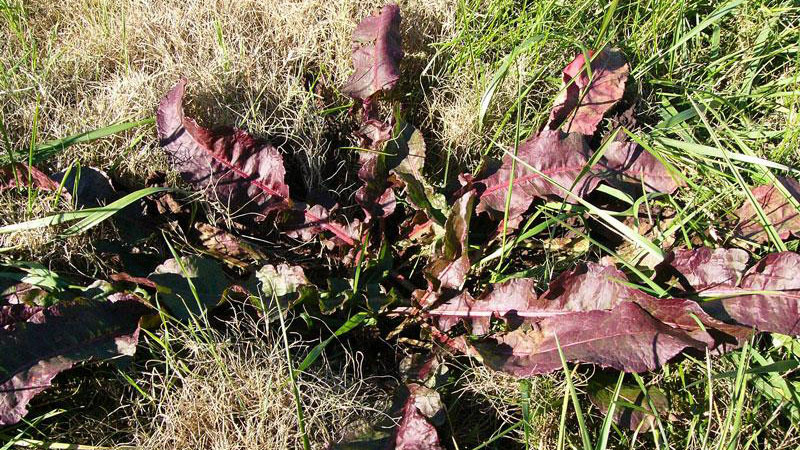 The green leaves may be tinged with reddish purple. 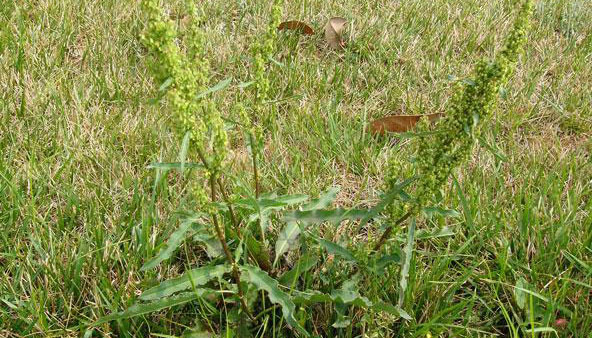 Curly dock seldom produces seed in maintained turf. 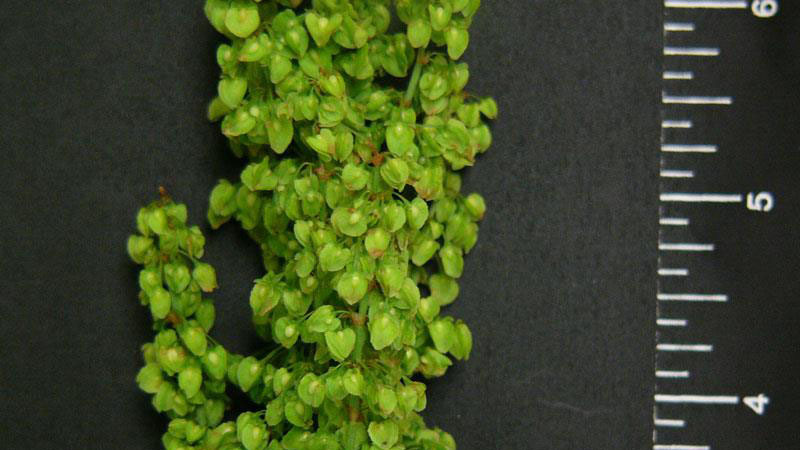 When the plants grow unchecked, small greenish flowers are produced in clusters at the top of the main stems. 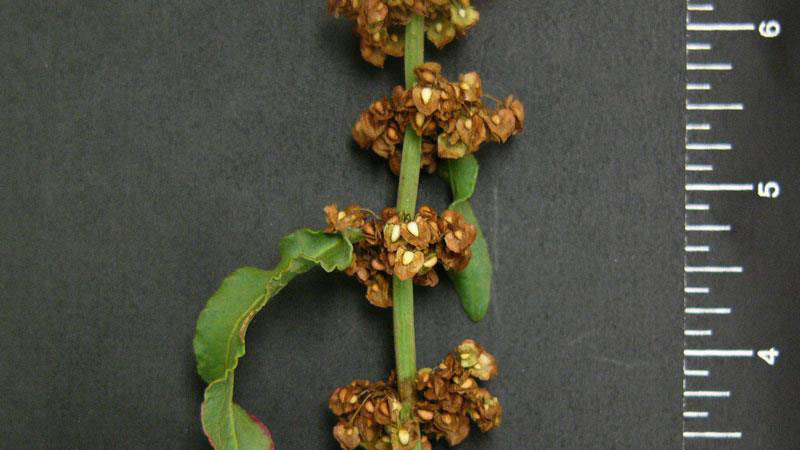 Flowers become reddish-brown at maturity. The shiny, reddish-brown triangular seed is surrounded by three sepals. Figure 1. 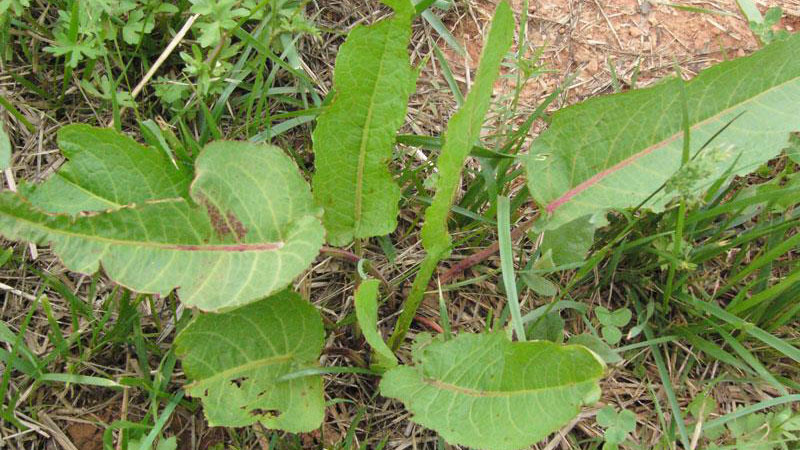 Curly dock growth habit. Figure 2. 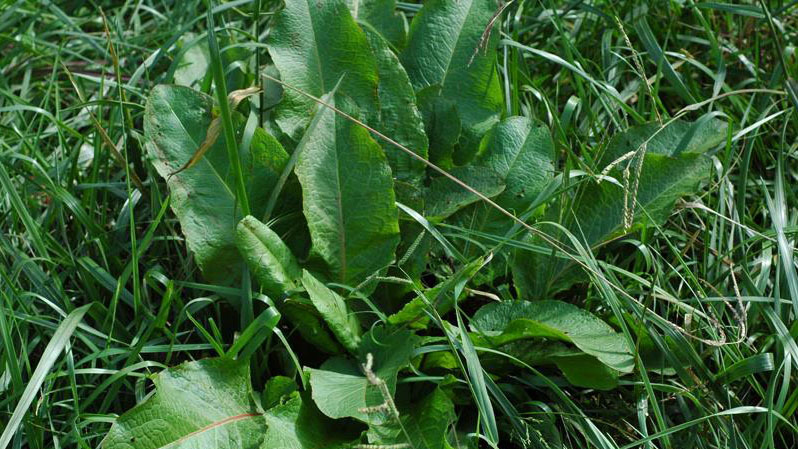 Curly dock growth habit. Figure 3. 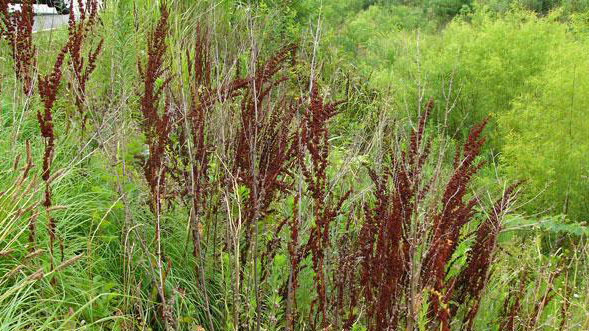 Curly dock growth habit. Figure 4. 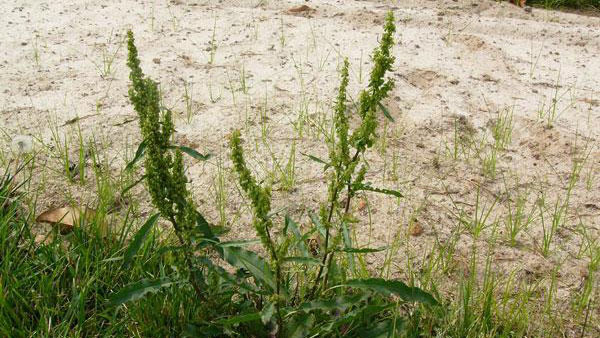 Curly dock growth habit. Figure 5. Curly dock growth habit. Figure 6. Curly dock growth habit. Figure 7. Curly dock growth habit. Figure 8. Curly dock growth habit. Figure 9. Curly dock growth habit. Figure 10. 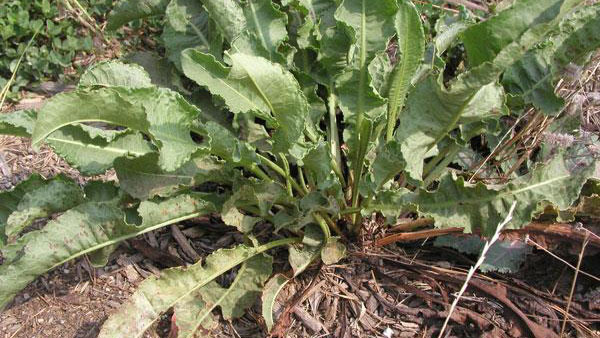 Curly dock growth habit. Figure 11. 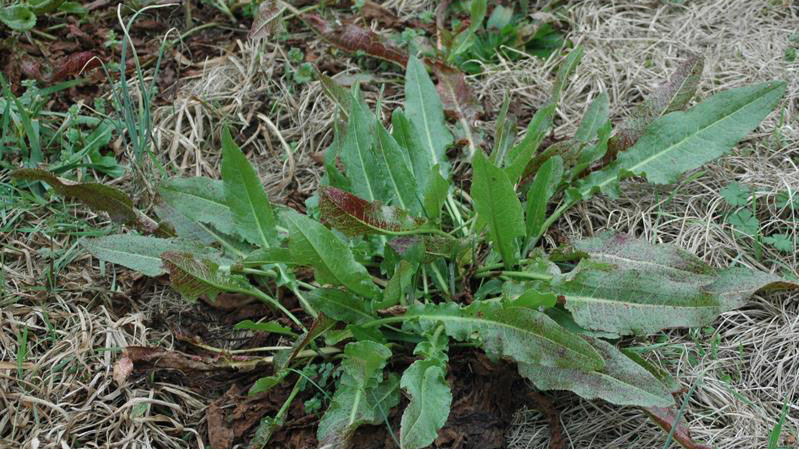 Curly dock growth habit. Figure 12. 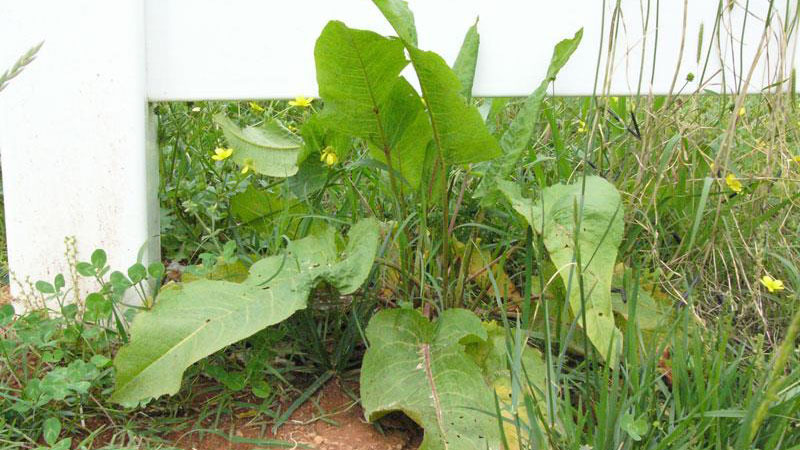 Curly dock growth habit. Figure 13. 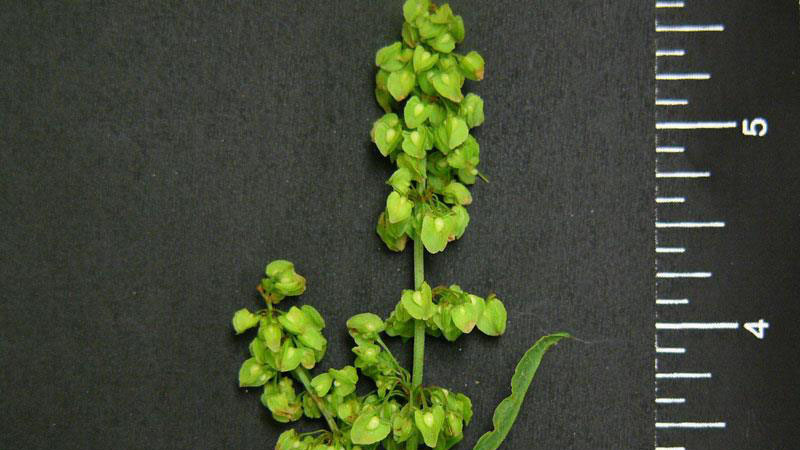 Curly dock leaflet shape. Figure 14. 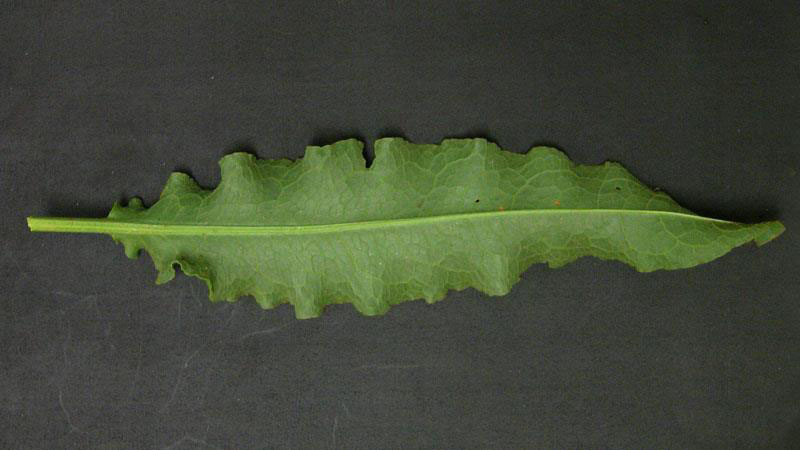 Curly dock leaflet shape. Figure 15. 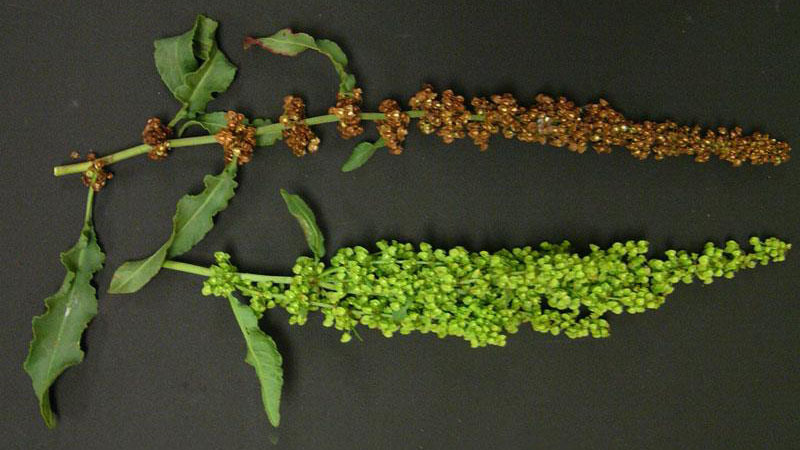 Curly dock flower color. Figure 16. 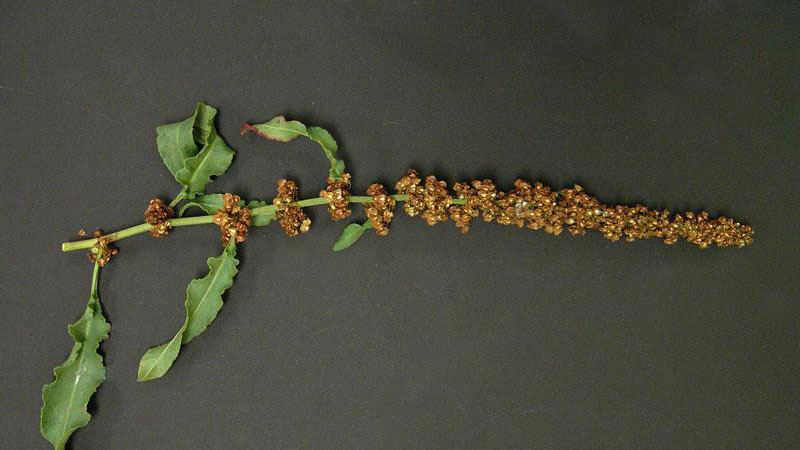 Curly dock flower color. Figure 17. Curly dock flower color. Figure 18. Curly dock flower color. Figure 19. Curly dock flower color. Figure 20. 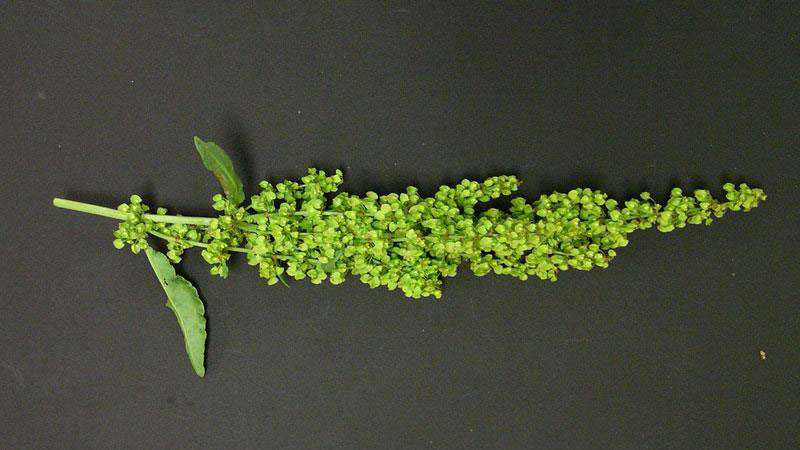 Curly dock flower color.